I’ve been craving a really good sci-fi themed RPG for some time now. I love the original Mass Effect saga and my copy of Xenoblade Chronicles is always at the ready, but I wanted something more turn-based with a top-down JRPG feel that would scratch the itch for nostalgia. While Kisareth Studios’ Sanctus Mortem doesn’t always fire on all thrusters and gets a bit grindy, the engaging story and enjoyable battle mechanics more than make up for those shortcomings. Captain Hector of the warship Rhoube is a loyal soldier of the Thrasik Empire. Despite heavy losses suffered against the Zinthian Confederation, he and his allies are determined to serve to the best of their abilities. Their faith in their leadership is shaken to the core when friendly destroyers are sent to destroy them after accidentally learning of a potentially devastating superweapon. Now on the run from both sides, Hector and his crew attempt to end the war and find the secret of the mysterious Armageddon weapon. There’s a lot to unpack here, and it’s difficult to discuss the plot without spoiling numerous twists and turns. However, it’s easy to become attached to the crew of the Rhoube, and I’m not sure if that’s because of (or despite) the fact that they begin as expys of Star Trek characters — there’s even an over-excitable Scottish Chief Engineer, for goodness’ sake. Over time they develop their own personalities and become even more relatable before a bunch of plot happens and the focus abruptly shifts to new protagonists. It’s jarring as hell, but I quickly began to love the “next generation” as much as the originals. The story explores love, fear, hopelessness, and faith in friends while avoiding being sappy or melodramatic. 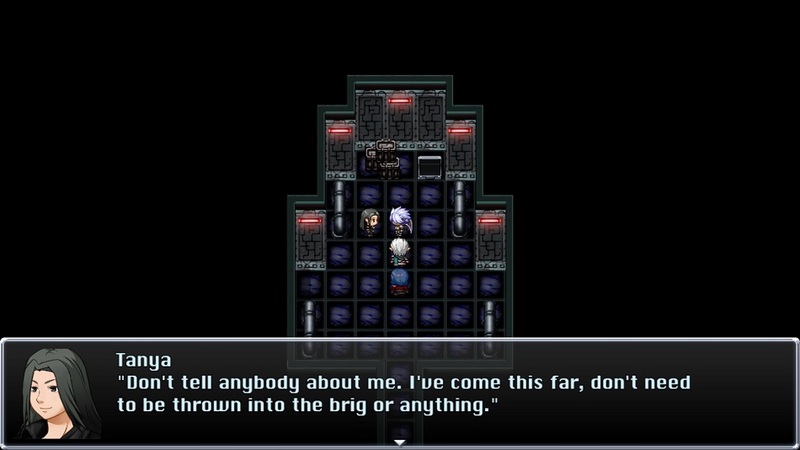 Dialogue is well written for the most part, with heartfelt moments and snappy patter aplenty. 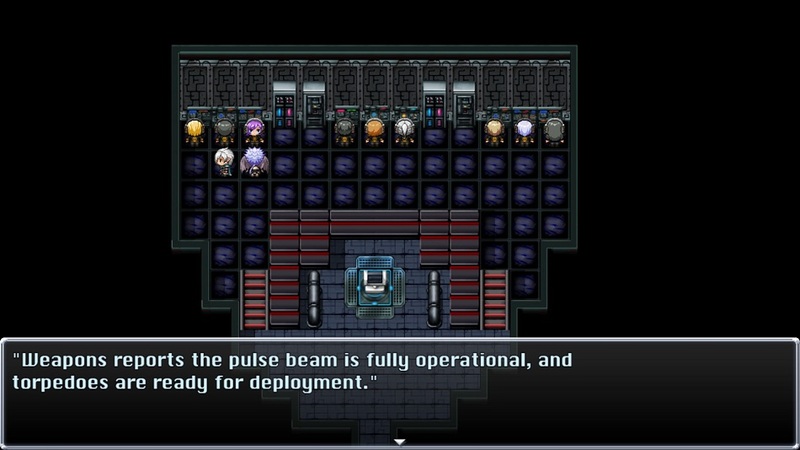 Mechanically, Sanctus Mortem plays like any number of top-down JRPGs in that players move the protagonist around numerous locations, interacting with objects and talking to the denizens of various worlds, bases, and starships along the way. Kisareth has employed cavernous locations that feature great little details, but tons of empty space. Traversing large, labyrinthine maps takes longer than it should, especially when piloting the Rhoube — at least on the ground, characters can dash from place to place, which is handy when one needs to re-cross a map after clearing it of foes. Combat-wise, it’s cool that many fights are skippable, but considering there’s really only one opportunity to grind for experience/currency in the entire game, it makes more sense to fight every enemy encountered, as most of them are one-time only antagonists. Otherwise, it’s quite possible to arrive at boss battles severely underleveled and underpowered. The quality of the combat itself is fast and quite enjoyable, and menu-driven commands can be supplemented by quicktime button presses to cause massive amounts of damage. That said, I wish Sanctus provided the actual controller or keyboard-assigned button prompt rather than asking me to input “cancel” or the like, as it’s sometimes easy to press the wrong command and end the attack chain. It’s never disastrous, but it makes fights longer than they’d otherwise be. I also like the way mana is managed. 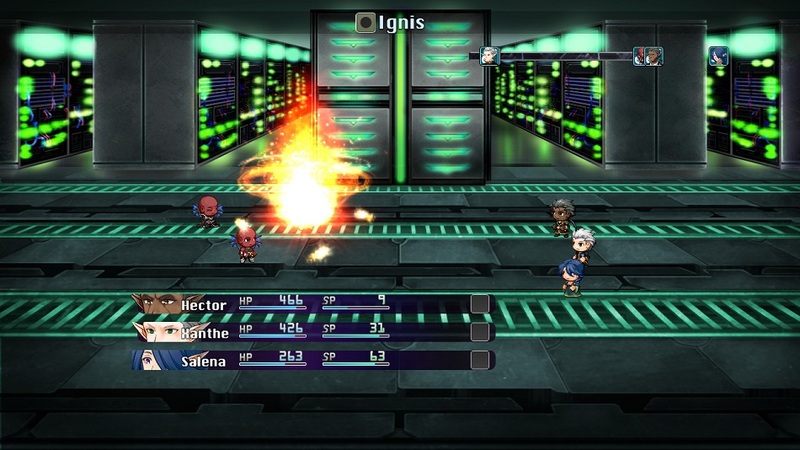 Instead of forcing players to rely exclusively on items to regain energy for special attacks, characters can recharge by forgoing an action during combat. The bestiary is surprisingly diverse, although Sanctus doesn’t consistently stay with sprite-style enemies or larger portrait-style foes. Kisareth has done this before in their previous titles so it appears to be a stylistic choice, albeit one that’s hard to wrap my mind around as the styles differ so much. The biggest issue I have with Sanctus Mortem’s gameplay is that the inventory and upgrades are difficult to manage. It’s not easy to tell at a glance which items belong to which party member, and the game will cheerfully sell the party a weapon or vehicle upgrade that they already own. Since Sanctus allows saving at any time it’s easy to rectify mistakes, but a more intuitive system would be welcome here since it’s quite possible to finish the game without acquiring every upgraded weapon or new power, but early boss battles can be nigh-unwinnable without better gear, and merchnats can sometimes be a long distance away if a return trip to a shop is called for. 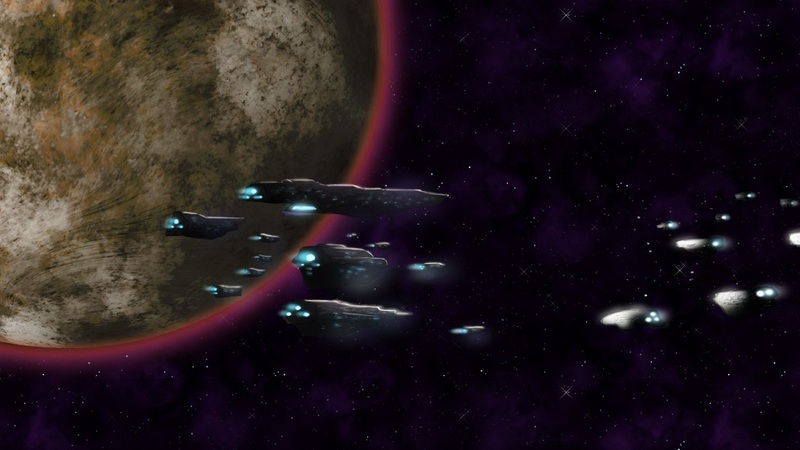 Disclosures: This game is developed and published by Kisareth Studios. It is currently available on PC. This copy of the game was obtained via publisher and reviewed on the PC. Approximately 15 hours of play were devoted to the single-player mode, and the game was completed. There are no multiplayer modes. Parents: According to the ESRB, this game is rated T and contains Violence, Blood, Mild Language, and Suggestive Themes. Party members attack creatures and humans, occasionally resulting in a dead body with minimal blood (most enemies either droop or disappear completely). A major section of the game takes place in a depiction of Hell, complete with some scary imagery and enemies which could frighten younger children. The language never gets worse than the occasional b*stard, h*ll, or d*mn. There is some sexual innuendo. Colorblind Modes: There are no colorblind modes available in the options, however there is an option to change the RGB color levels for text windows. Deaf & Hard of Hearing Gamers: There are no game-affecting audio components that do not have a corresponding visual component. All dialogue is text-based. Aside from the ability to change the color of the overall text window above, font sizes and colors cannot be changed. This game is fully accessible. Remappable Controls: Yes, this game offers fully remappable controls. 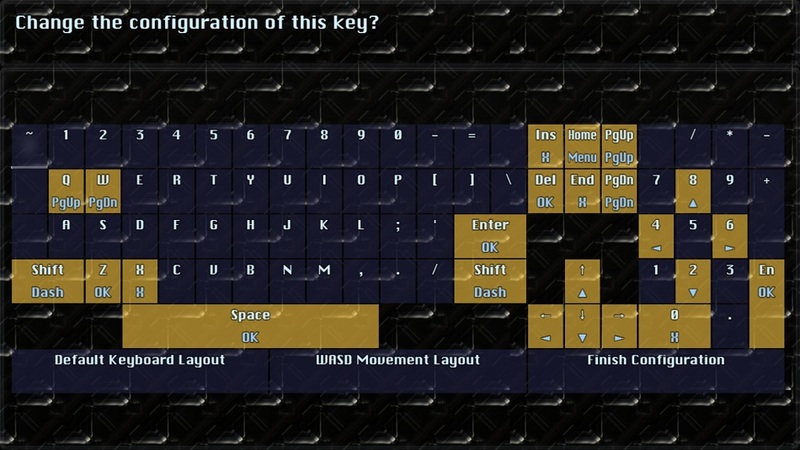 Additionally, the gamepad can be used for the majority of keyboard commands. These buttons appear to be unchangeable. The control stick moves the character. 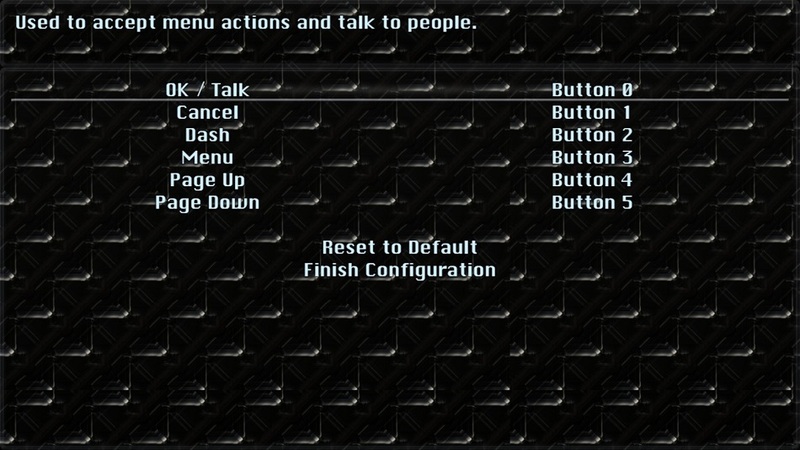 The A button (on an Xbox 360 controller) is used to talk, select commands, and skip dialogue. The B button is used to cancel selections. The Y button access the party menu. The X button is used to dash. 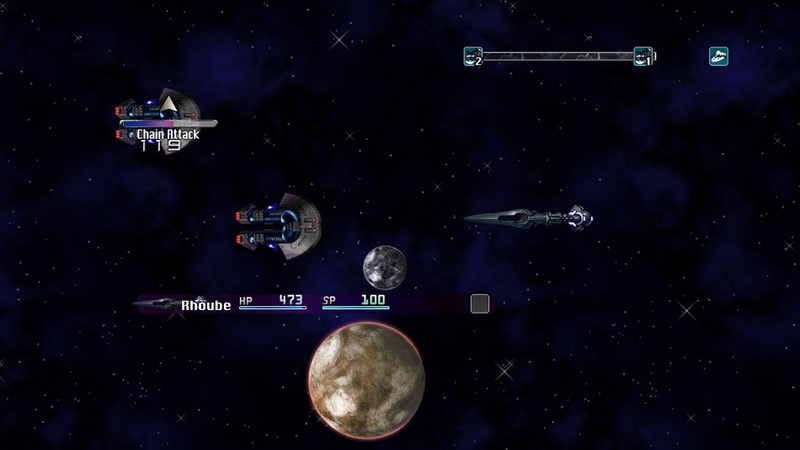 In this mode, the player must still press the Shift key on the keyboard to target multiple enemies.